The Leopard3 has a nice controllable turn right out of the box. It can be thrown smooth for straighter shots, or harder for more turn. Adjusting the angle of release allows the Leopard3 to be an incredibly versatile fairway driver. 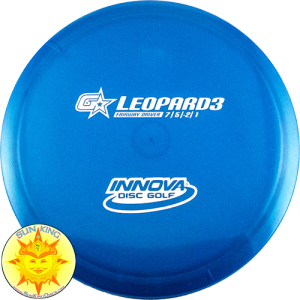 The Leopard3 has a lower profile and is slightly faster than the traditional Leopard mold.